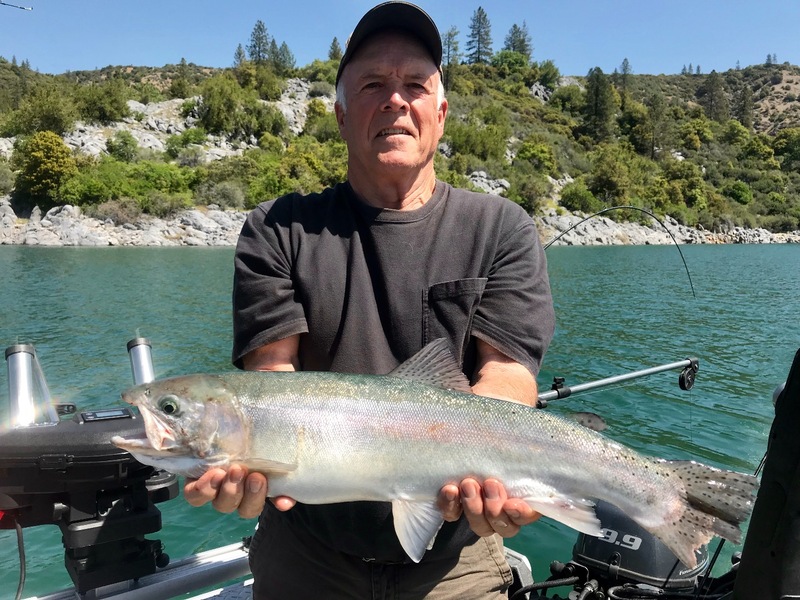 Big Shasta Lake rainbows begin to show! Adam with the days biggest rainbow! 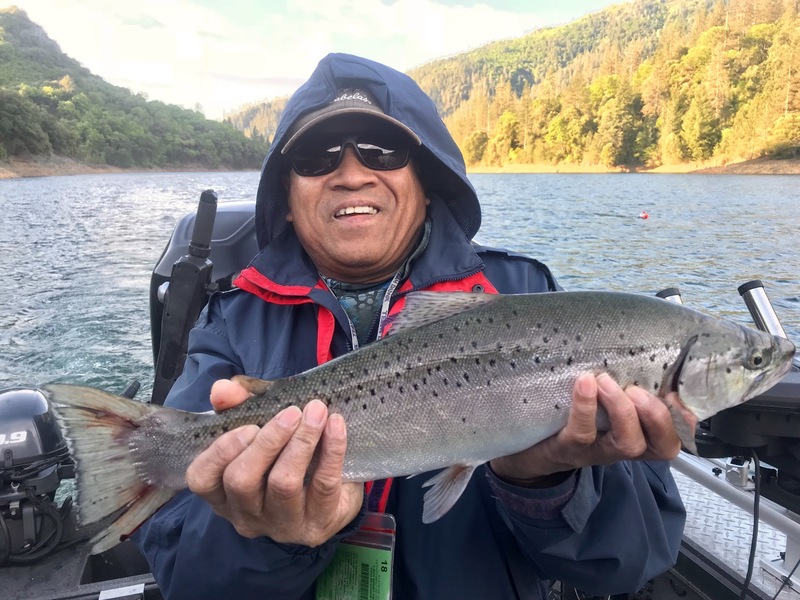 Today we fished Shasta Lake and were targeting big trout early while trolling fast with Optimizer spoons behind a side planer and Trinidad Tackle Eco line weights. We started off with a rainbow takedown before we got the second rod in the water. We caught some more rainbows before the bite stalled for a while. We changed locations and hit some of my hot spots in the main body of Shasta when we hooked into the first big rainbow of the spring season. The water temps are hovering around 58-59 degs and on the rise. Its going to be an amazing summer on Shasta Lake so lets go fishing! 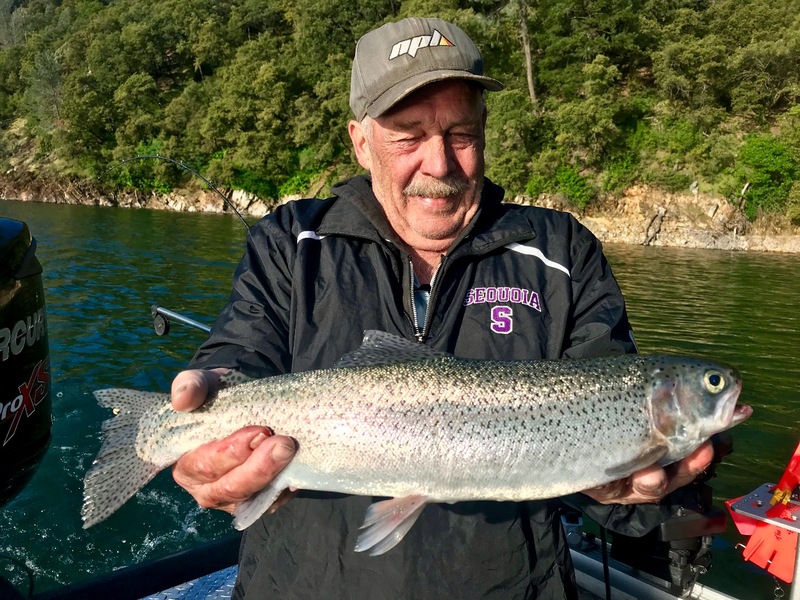 Call or text (707) 616-1905 to set up your Shasta Lake fishing trip! Slower brown bite, but the rainbows were on fire!